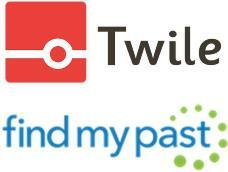 Findmypast has announced its acquisition of genealogy start-up Twile, creators of a visual family history timeline and winner of two RootsTech innovation awards. Twile enables family historians to create interactive timelines with their family memories and set them against the context of world history. Twile provides new and engaging ways of telling a family’s story via beautiful infographics and other visualizations. In the future, Twile’s storytelling features will be available on Findmypast, enabling users to automatically display their family history research in a media-rich timeline.